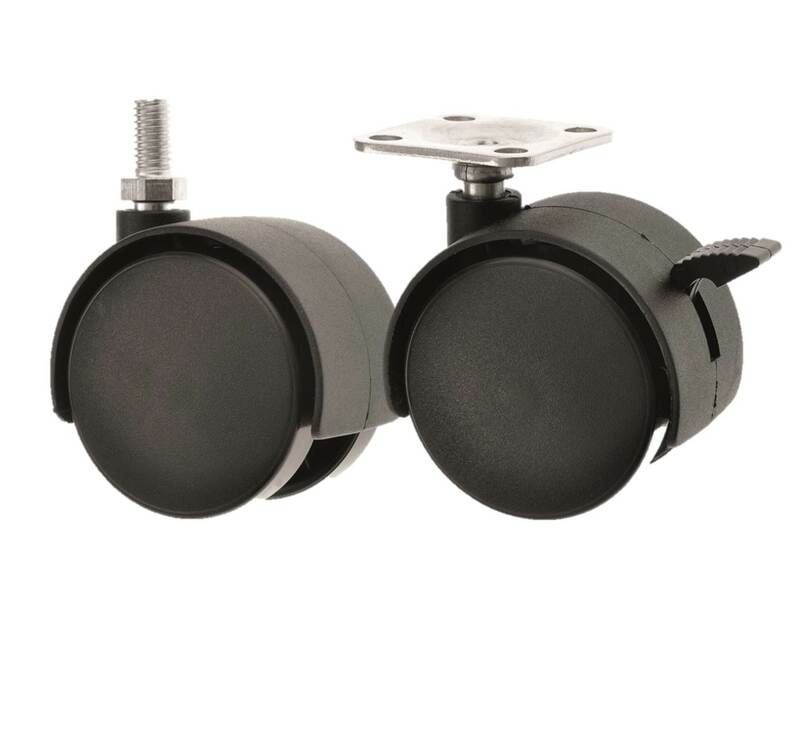 Twin Wheel Castors are one of our most popular ranges as they are inexpensive and suitable to be used on a wide range of furniture, equipment , as display castors on stands and point of sale castors. 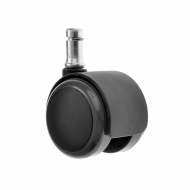 Plastic twin wheel hooded castors are available in a range of sizes from 35mm, 40mm diameter wheels to 50mm and 75mm. 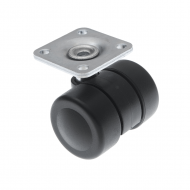 With either a threaded stem fitting in M8 or M10, a square plate fitting for attachment, or a circlip fitting, these multi use twin wheel castors are suitable for a wide range of applications. 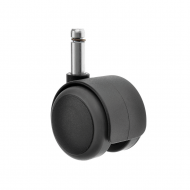 Our Twin wheel castors are supplied assembled with the stems, pegs or fixing plates attached. However we can offer these castors unassembled for your convenience if required. These versatile, small and inexpensive castors seem to pop up everywhere you look! 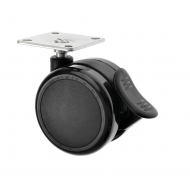 Have a look down on your office chair, and you will more than likely see theses magnificent versatile twin wheel castors. 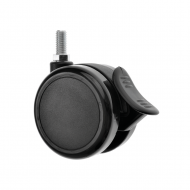 We have customers that use them as fridge castors, display stand castors, as well as on all shapes and sizes of furniture and chair castors. There are so many uses for twin wheel castors, particularly as budget furniture castors. 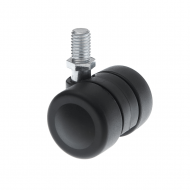 Our newest range is the Low Level Castors, with only a 35mm wheel diameter their overall height is only 42mm! For a low cost budget castor, its really hard to beat the versatile twin wheel range.